While you certainly don't need a reason to visit the stunning country of Belize, there are some fantastic events held throughout the year that can add some culture, excitement and local flavor to your time there. Whether you are a full-time resident of Ambergris Caye or someone enjoying a week-long visit to Belize City, be sure to check out as many of these annual Belize festivals and events as your itinerary allows. One of the things that Belize is best known for is its affordable and readily-available fresh seafood. Lobster is one of the most popular seafood options for residents and visitors alike, making the annual Lobsterfest a fun event worth attending. The event typically takes place for an entire week in June, which marks the start of Lobster season. All along the coast in places like San Pedro and Placencia, lobster is served along with other culinary treats, live music, dancing and a vibrant atmosphere that everyone enjoys. On November 19, 1802, the Garifuna people first arrived in Belize. Descendants of both West Africans and Caribbean people, the Garifuna are traditionally known for their music, dancing, chanting and vibrant culture. To mark their arrival in the country, Belize holds the Garifuna Settlement Day each November 19th. The festival starts before dawn, when boats loaded with locals bring drumming, chanting and song to the towns throughout the country. Be sure to try the cassava bread, a local favorite that is always on sale for this holiday. 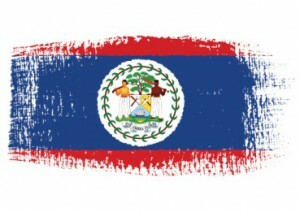 While Americans might be used to Independence Day taking place on the Fourth of July, in Belize Independence Day is celebrated on the 21st of September. This day marks the anniversary of British Honduras becoming the now independent country of Belize. Across the country, flags fly to celebrate the occasion. The day is a public holiday, and most residents won't have to work. That means plenty of parades, parties, dancing and a jovial atmosphere with great food in the center of just about every town. For foodies, two of the tastiest treats to enjoy while in Belize might be the local chocolate and the cashews, both of which are grown, enjoyed and exported from the country. To celebrate these items, try to attend the festivals that honor them, both of which take place in May. First is the Cacao Fest, which offers countless chocolate candies and savory items made with cocoa powder to celebrate the farmers of the Toledo District. Then, attend the Cashew Festival, which is devoted to the tasty nut and is held within the incredible Crooked Tree Wildlife Reserve. Although the beach, the fantastic cuisine and the breathtaking scenery are more than enough to keep you busy in Belize, attending one of the events above can also be phenomenal. Click here for a detailed list of the most important Belize events and festivals held each year.